I know this can be a heated debate in the Mommy Wars, but we are a formula fed family. I have best friends and family members who breastfeed and I respect and honor that decision, but it was not the right decision for us. Being a formula family provides us the medical, parenting and life choices we needed, and we are thankful for that everyday. 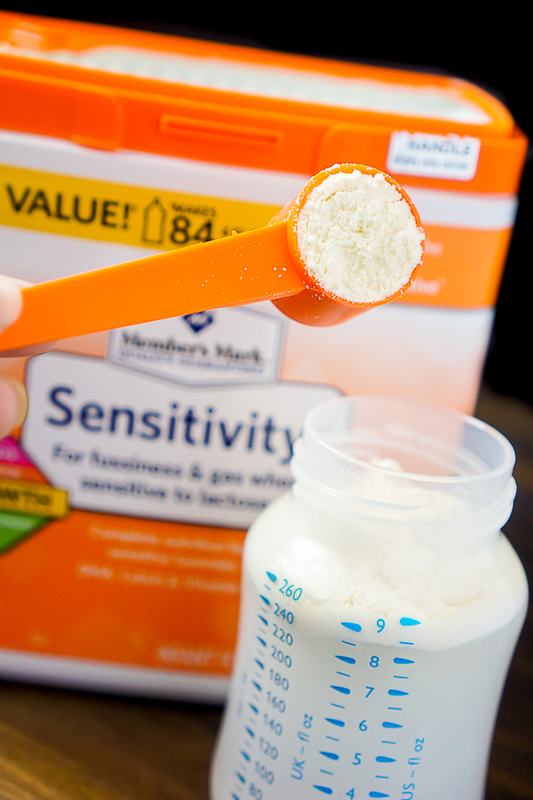 It has definitely been the right choice for our family and for our little guy, and Liam is healthy and thriving on Member’s Mark® Sensitivity Infant Formula. Finding the right formula is a big decision and required a little bit of trial and error for us in the beginning, which is why I am sharing our experiences with you all. Hopefully our experiences can make yours a little smoother! First, we had to decide which brand to go with – which brand would offer the most and the best. This required a conversation with our doctor who informed us that Member’s Mark would provide Liam with all the same nutrition as Enfamil or Similac. 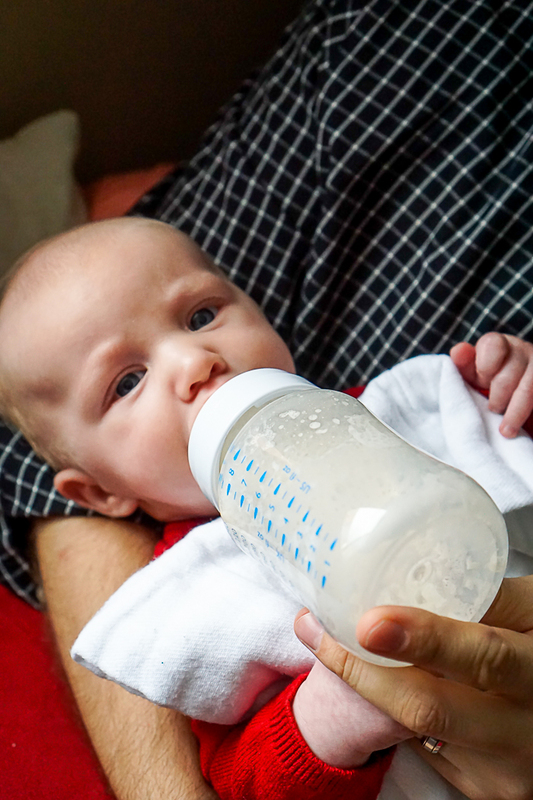 All infant formulas are regulated by the FDA so Member’s Mark formula is nutritionally comparable to other well known brands but for a significantly reduced price. Second, we had to figure out what was the best style of formula would be best with Liam. 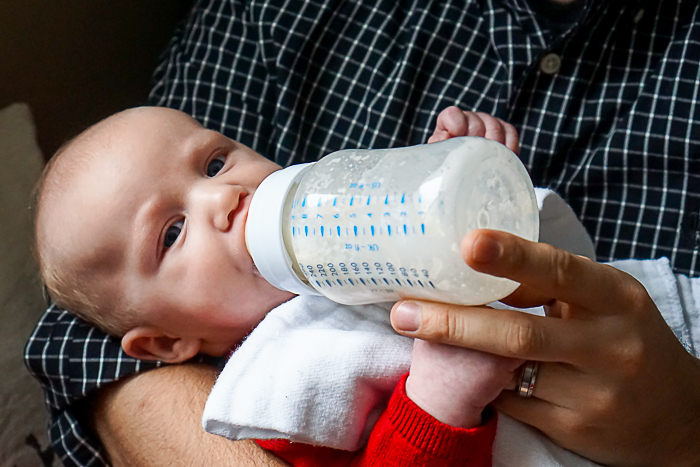 We started with the traditional infant formula, but Liam’s stomach was having a hard time processing that formula well. Plus, on top of that, we soon realized that Liam suffered from silent reflux, too. 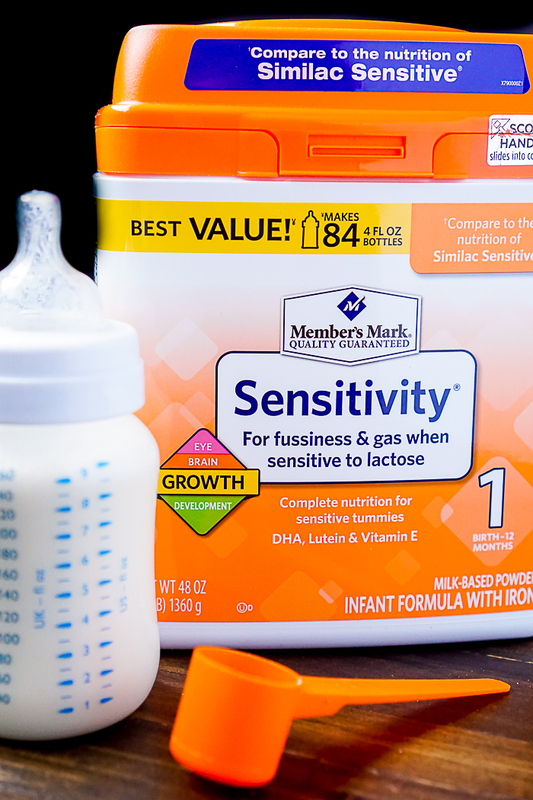 For these two reasons, our doctor suggested switching over to Sensitivity Formula. 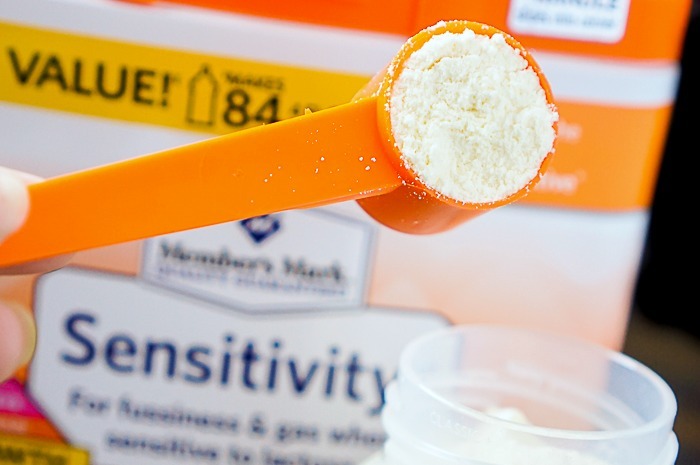 Member’s Mark Sensitivity Infant Formula is designed for babies with a sensitive stomach, such as those prone to gas, fussiness while eating, and a sensitivity to lactose. IT also has a unique blend of DHA, lutein, and vitamin E that all works toward supporting proper growth and development of Liam’s brain and eyes. 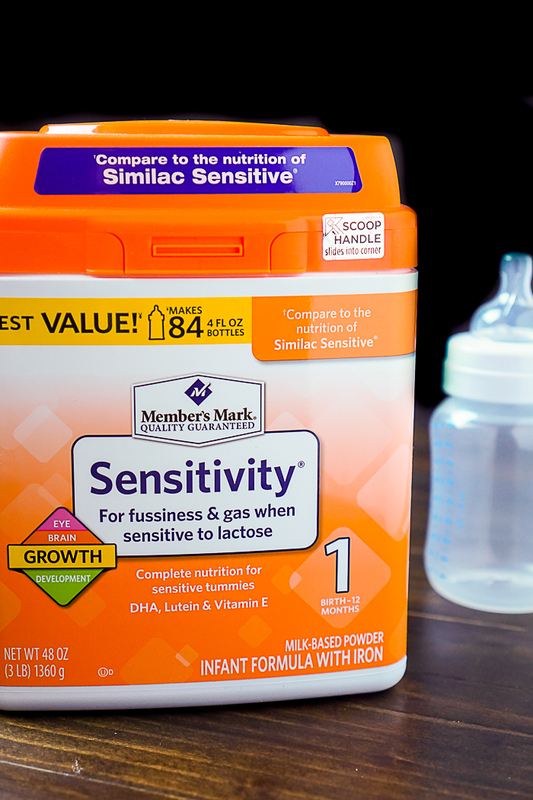 Member’s Mark Sensitivity Infant Formula is offering everything Liam needs at almost half the cost of Similac Sensitivity®. Choosing Member’s Mark saves me over $500 a year at Sam’s Club. With all the new expenses that come with a baby, this type of savings can make a big difference. Over $40 on a monthly budget is a great savings! So when you need to decide which formula is best for your family, keep in mind that Member’s Mark can offer you all the nutrition and care that your baby deserves at a price your wallet deserves!